Besides the fires that you have been hearing about the Okanagan in the news, other wine-related things are happening, such as Okanagan Crush Pad launching a new brand, Free Form, to celebrate their cellar being certified organic. Below is their press release. Congratulations! [Summerland, BC] Okanagan Crush Pad (OCP) proudly announces the launch of a new label, Free Form, in conjunction with the winery earning organic certification for its cellar. The winery has achieved certification under the Pacific Agricultural Certification Society (PACS) program, making it one of a handful of BC wineries to do so. From the 2017 vintage, Free Form will offer five wines: an ancient method sparkling wine, a skin-contact white, a Vin Gris, a Pinot Noir and a Cabernet Franc. The wines are made using organic grapes, native yeasts, free of additives and left to find their own course in the newly certified organic winery cellar, all under the watchful eye of chief winemaker Matt Dumayne. Current releases are the Free Form Ancient Method 2017 and Free Form Vin Gris 2017, with the three other wines to follow in the market this fall. “In our pursuit of wines of place we celebrate the inherent difference and profile of each wine from each vintage. All are one of a kind – never to be repeated,” says winery owner, Christine Coletta. 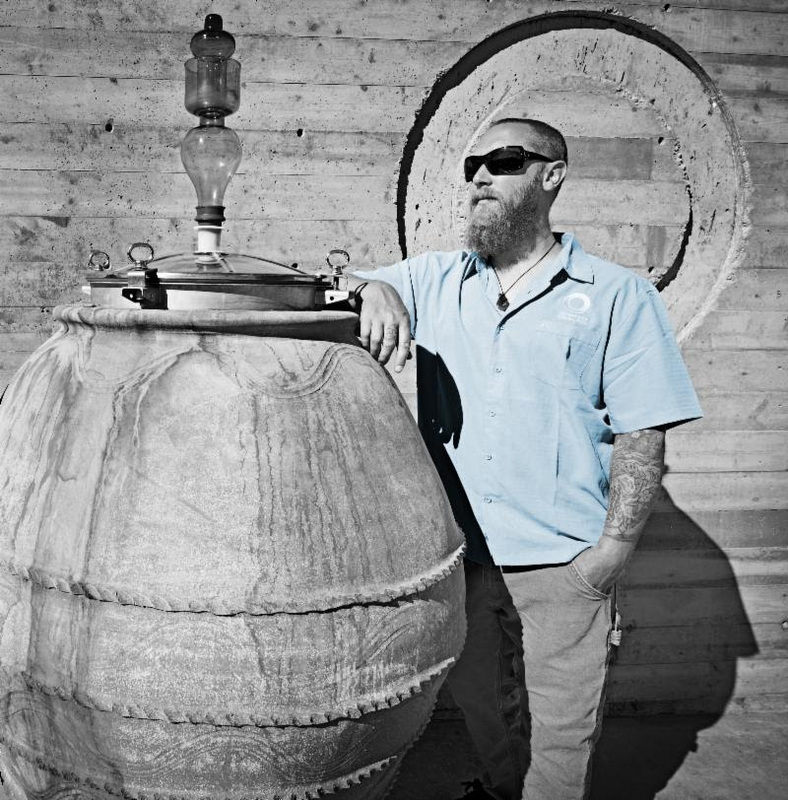 As directed by the winemaking team, Free Form wines are fermented in concrete tanks, clay amphorae or large barrels. Extended skin contact is used, followed by a gentle pressing and further rest before bottling. 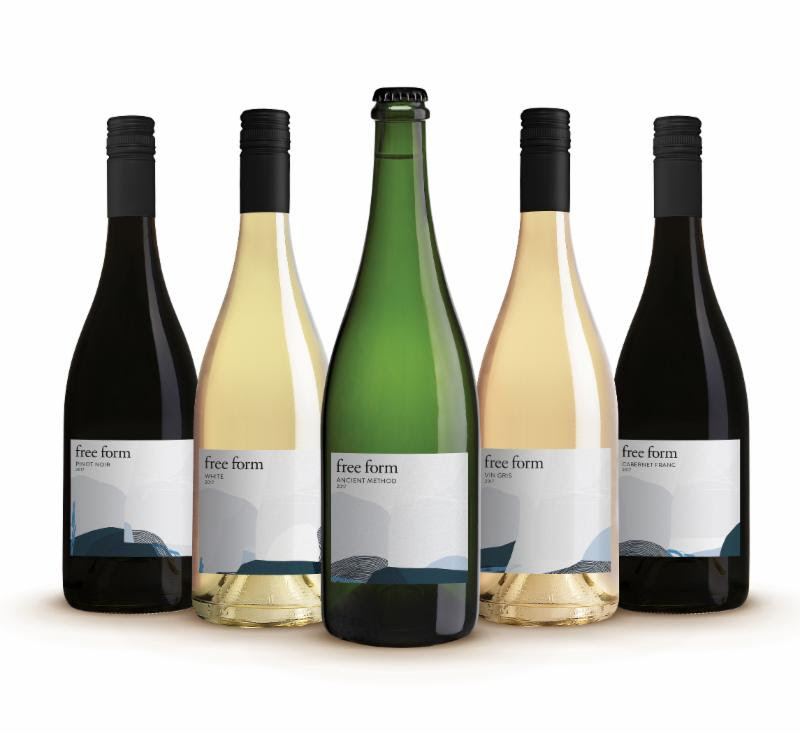 The wines are free of rough handling, commercial additives and little to no sulphites. “The inspiration for our Free Form label art was taken from the unique features of our land, where low hills and oblong lakes were formed by glacial retreat over nine thousand years ago,” says Coletta. Free Form wine labels are printed on a revolutionary paper made from stone. The making of stone paper is free from air and water pollution, with no trees or water used in the production process. OCP winery cellar received organic certification in May 2018. “After achieving our organic vineyard certifications, certifying our cellar was the next step in our pursuit. The winery cellar organic certification means that we can now officially label our wines organic,” says Dumayne. Okanagan Crush Pad has quickly built a reputation as a premium producer and has received many awards and accolades since its launch in 2011 with chief winemaker Matt Dumayne at the helm. Christine Coletta and Steve Lornie created Okanagan Crush Pad as a purpose-built custom crush facility. From here, their own wines, Haywire, Narrative and now Free Form are made. Located in beautiful Summerland, BC, the winery overlooks Switchback Organic Vineyard, a site that is home to chickens and ducks. Dumayne and his cellar team craft unadulterated wines using state-of-the-art concrete tanks, native yeast and minimal winemaking intervention. The wines reflect the region’s unique high mountain/northern desert setting noted for its intensely hot, short growing season with hallmark cool evenings. Visitors to the guest center, built into the heart of the production facility, get a rare glance into the art of fine winemaking and distilling and can sample and purchase a wide range of wines and spirits made on site.